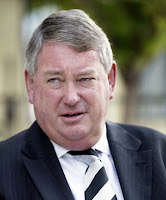 New Zealand Cricket (NZC) chairman Chris Moller has publicly apologised to Ross Taylor for it's handling of the captaincy fiasco but confirmed no one will be sacked as a result. Moller and NZC chief executive David White conducted a press conference at the Basin Reserve where little light was shed on the standoff between Taylor and NZC over the way he was removed from the captaincy. Moller said the board took the correct decision to support a change in captaincy, which went to Brendon McCullum, but regretted the way it played out publicly. "The board has reviewed all aspects of the captaincy issue and wishes to publicly place on record its apologies to Ross Taylor and his family for the manner in which events have unfolded," Stuff.co.nz quoted Moller, as saying. The board met for five hours in Wellington on Monday to discuss the issue, including meeting with New Zealand coach Mike Hesson. Hesson's job, and that of White and anyone else involved, was safe, Moller said.